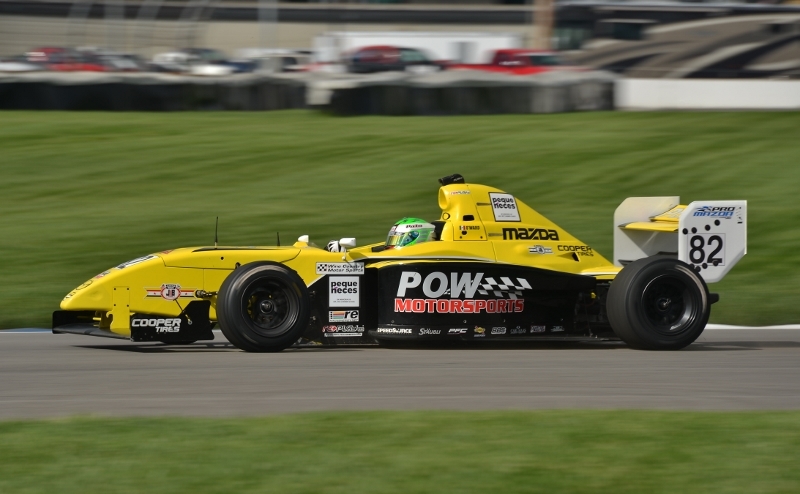 Palmetto, Fla. (March 19, 2015) – On the heels of victory in the recent Cooper Tires Pro Mazda Winterfest mini-series, Team Pelfrey today is proud to confirm that talented teenagers Patricio “Pato” O’Ward and Santiago “Santi” Urrutia will contest the entire Pro Mazda Championship Presented by Cooper Tires which begins with a pair of races March 28/29 just a few miles from the team’s base in St. Petersburg, Fla.
O’Ward is no stranger to the team after impressing during the annual Chris Griffis Memorial Mazda Road to Indy test at the Indianapolis Motor Speedway last fall. The talented youngster will be the youngest competitor in the series at just 15 years of age but has amassed a strong resume in karting, including victory in the 2012 SKUSA SuperNats Junior Stock Moto Championship. He also posted one win during a partial 2014 season in the extremely competitive French F4 Championship. Urrutia also is switching his attention to the Mazda Road to Indy after achieving success in the South American karting ranks and then competing in Europe since 2011. The 18-year-old from Miguelete, Uruguay, raced for two years in the Italian-based Formula Abarth Championship, followed by single seasons in Formula 3 and, in 2014, the GP3 Series in support of the FIA Formula 1 World Championship. Both youngsters have displayed good speed in recent tests, leading Team Pelfrey Team Manager Nigel Tuckey to be optimistic about the team’s prospects for the season.